Only in Silicon Valley. Seen today on my evening stroll in Shoreline Park in Mountain View, California. 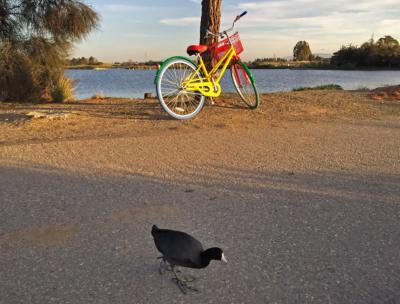 Beyond the lake in the distance is the Google campus and Google bikes are the conveyance of choice for Googlers.